Electrostatic powder coating process is a method of applying electrically–charged powder coating materials to grounded parts. Powder is held to the part by this electrostatic attraction until heat is added to flow the powder together and cure it. Powder may adhere to the workpiece for several hours. 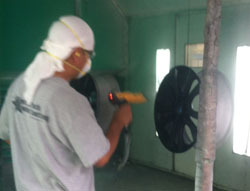 If the uncured powder coat is damaged or blemished during handling, powder can simply be blown off with air or vacuumed and a new coat applied. Four basic pieces of equipment commonly comprise an electrostatic powder spray coating system. They are the powder feeder, power unit, electrostatic gun, and powder booth recovery system. Powder is supplied to the spray gun from a feeder unit where the powder is diffused by compressed air into a fluid-like state. The fluidized powder is then siphon out by movement of high velocity air flowing through a venturi. It is propelled through the powder feed tubing to the spray gun. The powder feeder provides a controlled flow of powder to the guns. Independent control of powder and air volume allows adjustable dilution ratios so a desired thickness coverage can be attained on a variety of product shapes. The powder feeder is capable of providing sufficient discharge pressure and velocity to feed the electrostatic gun 10 to 25 feet away. Powder leaves the spray gun in a form of a diffused cloud being propelled toward the work-piece. A high voltage, low amperage power unit supplies a charging electrode at the front of the spray gun. The charging electrode emits a field charge which is imparted to the powder particles. This causes them to seek out and attach themselves to the grounded work-piece. The powder unit, or electrostatic voltage generator, has sufficient voltage to assure maximum wraparound. Voltage is variable up to 90 kV so that is may be; (1) reduced to combat Faraday “cages” encountered in spraying inside corners; (2) increased as necessary to provide wraparound, surface coverage, and efficient deposition of powder on convex surfaces and flat panels; and (3) adjusted for the powder being sprayed. 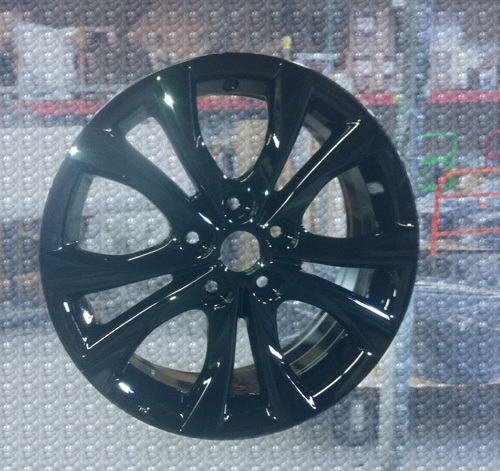 Trust all of your custom powder coating requirements to Electro Tech Coatings in the San Diego metro area. 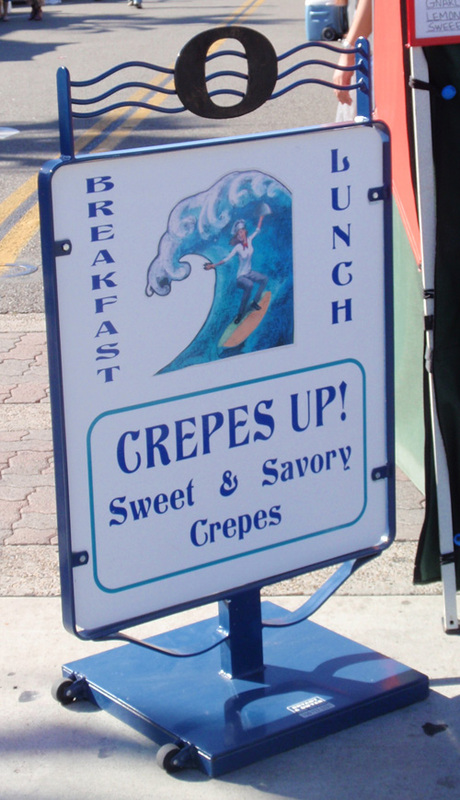 Call us today at (760) 746-0292.